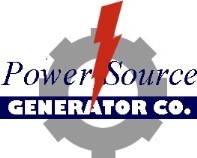 Power Source Generator Company is currently recruiting for the following positions! The applicant for this position must have good basic electrical knowledge and advanced mechanical knowledge as it pertains to working with small and medium sized air-cooled and liquid-cooled internal combustion engines. This position is for an independently capable mature technician who can operate a service truck / van in conjunction with his / her duties. This position includes minor and major servicing and repair of on-site generator systems within 75 miles of Depauville, NY and working in a shop environment as necessary. This position is for a minimum of 9 months per year as weather permits and could be subject to seasonal lay-off. Diversity in skills and willingness to fulfill other positions within the company structure as needed during the winter season could limit or eliminate the need for seasonal lay-off. The applicant for this position works directly for the Generator Installer. She / He will develop skills as necessary to prepare products for site delivery, prepare and stock installation trucks and trailers, and provide support as necessary to the Generator Installer. The Assistant Installer position is for a minimum of 9 months per year as weather permits and could be subject to seasonal lay-off. Diversity in skills and willingness to fulfill other positions within the company structure as needed during the winter season could reduce or eliminate the need for seasonal lay-off. Opportunities exist for full or part -time work in this position.